At about 5 a.m. on Jan. 12, Ruben Jesse Gomez Jr. and Javier Castillo Vasquez, both 38, rang the doorbell at a home near Lompoc. The 65-year-old man, who was home alone, went to door. The suspects said they were with the sheriff’s office and needed to speak to the man. When the man opened the door, one of the suspects struck him multiple times with a pistol. The victim attempted to fight back but was overwhelmed and forced into his bedroom. The suspects demanded money and guns and said they would harm the victim’s family if he did not comply. The victim handed over the money from his pants pocket. One of the suspects bound the victim’s hands behind his back with duct tape. Even so, the victim managed to free himself and retrieve a baseball bat. He struck one of the suspects with the bat. But, the suspect took the bat from the victim and beat him with it before leaving through the front door. The victim suffered extensive injuries, including a fractured skull and facial lacerations. Despite suffering the injuries, he managed to drive to a friend’s house. The friend then drove the victim to the hospital. 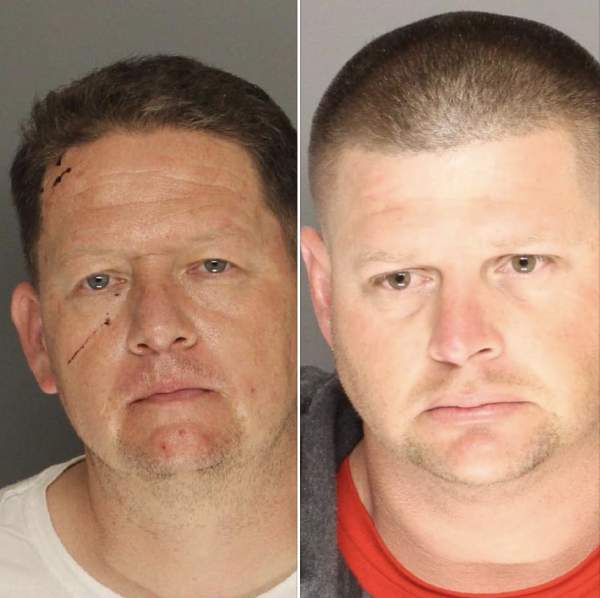 On Saturday, detectives arrested Gomez Jr. and Vasquez on charges of attempted murder, robbery of an inhabited dwelling, kidnapping, elder abuse and conspiracy and booked the men into the Santa Barbara County Jail with their bails set at $1 million. The victim knew one of the suspects before the home invasion, according to the sheriff’s department. Best wishes to the victim as he recovers from his injuries. I want him to be able to testify against these animals so they are put away for a long time. Rotten scumbags. It looks like the old guy got a good lick in on Gomez. He can brag about that one I’m sure.